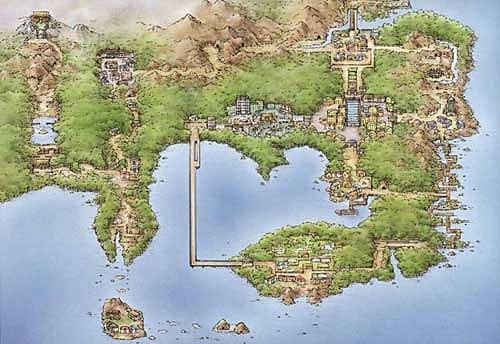 The Kanto region was the first region of the Pokémon world introduced to us all the way back in the 90s and it's stayed with us for around that long. It's still one of the most beloved regions for many, but with that title come many downfalls. Next to the Unova region, Kanto introduced us to the largest number of Pokémon and with that, comes a number of monsters that fall to the wayside compared to others. It's not because they're bad, but they just pale in comparison to some of the other Pokémon from their region. 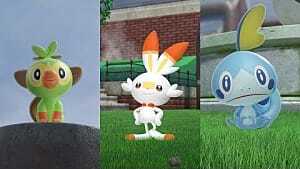 The ones that'll be included are ones who either haven't been given a Mega Evolution or Alola form, have suffered a blow because of the changes the game has made over time or are just not remembered by the Pokémon trainers at large. This doesn't mean they're bad Pokémon, just less loved than the rest of the bunch. Let's take a look back, just as we did in Hoenn, to check out the most underrated Pokémon from the Kanto Region. On the grand scale of the evolution of the Pokémon Eevee, Flareon has been, and always will be the weakest of the group. While all of Eevee's evolutions are incredibly popular, Flareon gets a lot less love, mostly due to its mediocre move pool for a physical based fire type Pokémon, and because it's on the slower side compared to other Pokémon that can utilize Flare Blitz. GameFreak has been slowly giving it more moves over the year making it far more usable in battle than it used to be, but the damage has already been done. Luckily, Flareon is still part of the illustrious group of Eeveelutions, so it'll that's at least a happier ending for one of these unloved Pokémon. When it comes to the king and queen of Kanto, one needs to look no further than Nidoking and Nidoqueen. Both of these Pokémon are incredibly similar, the difference being that Nidoqueen has more defensive stat distribution and Nidoking is stronger offensively. That, and their movepools are slightly differentiated by a few moves. Nonetheless, these two were incredibly popular back during Pokémon’s initial release, but have fallen out of use in recent years. While they're still fairly unique in their typing people have found other powerhouses to use, causing these two to fall by the wayside. Still, they both have amazing movepools and with the advent of the dream world ability Sheer Force back in Unova, it's given this battle couple a resurgence in usage in recent years. 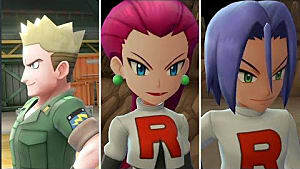 While they're both still outclassed by a few different Pokémon, these two are still solid members on any team. As long as the other team doesn't spam earthquake. When it comes to Pokémon suffering because of the physical/special split back in the Sinnoh games, there isn't a better example of how the mighty have fallen than Tauros. If you played Pokémon back in the days of Red, Blue and Yellow, you'll remember how much of a monster Tauros was. It was an incredibly powerful Pokémon that broke almost any walls it came across, just like an actual bull. Now, it just seems that they put this poor bull out to pasture. Gone are the days it could break any wall, and now it's stuck ramming into Pokémon it would have stampeded over in the past. Not that it's changed all that much. Tauros has the same diverse movepool it had back in the first games, and it's only grown in recent years. Sheer Force has also helped Tauros maintain its status as a dangerous bull to lock horns with. Even if its glory days seem long gone, Tauros can still hold its own. Mr. Mime is one of those Pokémon you remember seeing all the time in the Pokémon anime, but never really wanting to use yourself. This is one of those cases of Pokémon fans not wanting to use a Pokémon because of their appearance. Why? There's a reason you'll find quite a number of horror films with a clown as the main villain, or as antagonistic in some way. Coulrophobia is alive and well in society today and that's part of the reason why Mr. Mime is here. The fact I could find far more scary Mr. Mime artwork than I could the not so scary is telling of how the fandom feels about it. Interestingly enough, just like many of its psychic brethren, Mr. Mime isn't too shabby in battle. It's a wall breaker, just like many of the other psychic types but it has access to moves like Healing Wish and with its speed, if worse comes to worst, it can sacrifice itself to fully heal another member on its team. Not only that but he can also set up barrier moves like Reflect and Light Screen, giving its team support. 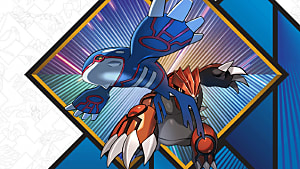 While it doesn't excel at that as much as it does at wall breaking, it's still a Pokémon with a diverse move pool that's worth giving a chance. Who remembers this screaming monster from the anime who always decided to snack on James' head whenever he had the chance? Everyone? Okay, now which of you actually used it on your team? If you answered that you didn't use Victreebel on your team, you're hardly alone; Victreebel isn't the most popular pick for a grass type, especially not now, when you have access to the entire world of Pokémon at your fingertips and you can pick countless other Pokémon. However, Victreebel did have its uses and it still does in its own, odd, terrifying sort of way. It's a dandy Pokémon to have on a Sun-based team, as in a Pokémon using Sunny Day and then the battle continues with that weather effect. It helps Victreebel make up for it's not so great speed and helps strengthen moves it has like Weather Ball. It's also a dangerous Sludge Bomb thrower and in that sunny weather, well, its solar Beam is terrifying to behold. With the right team, Victreebel can be a monster; it's just a matter of putting it on a sun team, since otherwise it doesn't function very well outside of it. 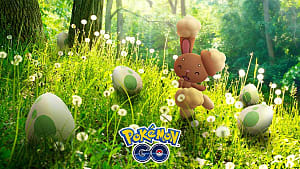 You can get a Pidgey or a Spearow relatively early on in your journey, which means by the time you run into a Doduo you'll already have a fairly strong flying type that you've journeyed with and have no reason to pick a new one up. That and with access to Mega Pidgeot and Starraptor, to most people there seems to be almost no reason to pick up a Dodrio. If you don't however, you'll be missing out on one of the oddest, yet most formidable normal/flying types in the game. Let's check out this road runner's stats. Dodrio has high attack and high speed with a plethora of moves at its disposal, which allows it to use them to their maximum effectiveness. 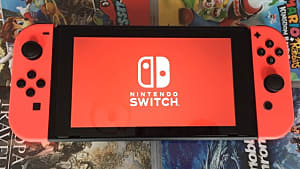 It outspeeds many Pokémon and can shatter through some of the toughest of walls, as long as they don't have a resistance to normal or flying type moves. This is where Dodrio falls short, because as soon as it strikes it's a sitting duck for any other move that can be thrown at it, and with its abysmal defenses and HP, it'll fall in battle quickly. This is why the main mode of attack for Dodrio is to go all in and make sure there are no entry hazards waiting for it on the other side. Poor Dewgong, it's one of the Water/Ice Pokémon that just couldn't be up to snuff compared to the likes of Lapras. You get a Lapras for free and it's everything Dewgong is and so much more. Not only that, but it doesn't fare well compared to even other defensive water types. But it does try, it really does. The biggest problem is the primary typing, which is Ice, and while it is on the bulkier side, any sort of entry hazard can spell disaster for Dewgong, especially Stealth Rock. 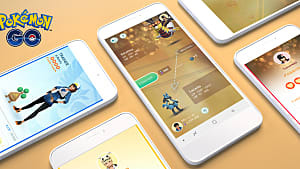 Dewgong has access to abilities like Thick Fat, which can make it a decent special defensive Pokémon with moves like Surf, Perish Song, Stockpile and Toxic. It makes Dewgong able to be used on most defensive teams as long as they can make up for the weaknesses it has. Overall, Dewgong is a cool Pokémon and even if it's surpassed by others, it’s still worth giving a try. Wigglytuff is a tragic case of its pre-evolution being far more popular than its evolution. 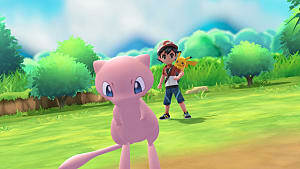 It's very similar to Raichu in that sense, because Jigglypuff and Pikachu are part of what could be seen as the "Mascot" Pokémon for the entire franchise, while Raichu and Wigglytuff just get left in the dust. At least Raichu gets an Alolan form, but Wigglytuff was just given a Fairy secondary typing, with an expanded movepool, and that was it. That's not to say that Wigglytuff doesn't have the right stuff to be used in battle of course. Wigglytuff has a huge moveset thanks to its normal typing, and with its massive HP stat it has a chance to set up some moves before it’s eventually taken down thanks to its low defense stats. Still, Wigglytuff is one of those Pokémon you can try a couple of different things with to see what works for you as a trainer. While it may not be the most popular puff, it's known to have the stuff to be tough. What would a list like this be without Vileplume? An unsettling little Pokémon based on the group of carrion flowers, which smell like rotting flesh. Vileplume wasn't as much unpopular for a while as much as it was unloved. Not a lot of people wanted to use Vileplume and again, with all sorts of Grass types out there now, people just see it falling short of what the other grass types have to offer. However, what Vileplume does have over its more flowery contemporaries is its bulk, and with Effect Spore as its ability it makes it a force to be reckoned with. Combine that with moves like Giga Drain, Sludge Bomb and Sleep Powder, and Vileplume is able to wait out its competition for a little while. Or, if you want to go full offensive, use the same Giga Drain and Sludge Bomb with an added Hidden Power Fire or Ground to pack a punch. There's other ways of playing with Vileplume thanks to its fairly diverse movepool. It's a fun little Pokémon that can take plenty of hits, and while it's not as beloved as others, this red eyed Pokémon deserves to be on any list. 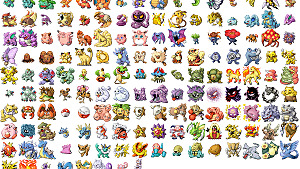 In Kanto there are 4 Pokémon that evolve by Trade: Alakazam Gengar, Machamp and Golem. 3 of the 4 of these are used all the time, and are praised as amazing Pokémon. Golem, on the other hand, well…Golem is just sort of there. When looking for the artwork for this list, you'd be hard pressed to find a picture of Golem that's not some realistic interpretation or a Mega Evolution, which is something this Pokémon desperately needs. Anything to boost him up just a little further, or make it at least on par with other Ground/Rock types like Rhyperior. That's not to say Golem is a bad Pokémon; it has plenty of physical defense and decent health, which makes it able to tank with moves like Suckerpunch or Toxic at its disposal, but with its attack stat it's far more suited for an all-out attacker with moves like Stone Edge and Earthquake. It's also one of the most reliable Stealth Rock Pokémon in the game to lead off with. The one sad thing about Golem is that oftentimes, people who send him out, do it for one reason and that's to explode. Yes, its ridiculous self-destruct has destroyed many an opponent, and that's what it's meant to do, but it is a little tragic to see a Pokemon's only purpose is to blow itself up after it stopped being useful in battle. There you have it, the most underrated Pokémon from the Kanto region, whether it's because of the physical/special split, the lack of further evolution or mega evolution, or just paling in comparison to other Pokémon. Even with all that said, these Pokémon are still beloved by some players because Kanto was the first region people came across, and even if they're sometimes forgotten, these ten Kanto Pokémon will never be truly gone from people’s hearts. What do you think about these Underrated Pokémon? Were there any we should have had on the list? 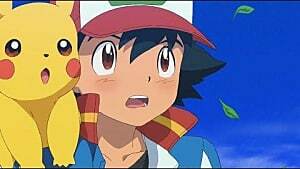 What's your personal experience with the Kanto Region's Pokémon? Tell us all in the comments below.